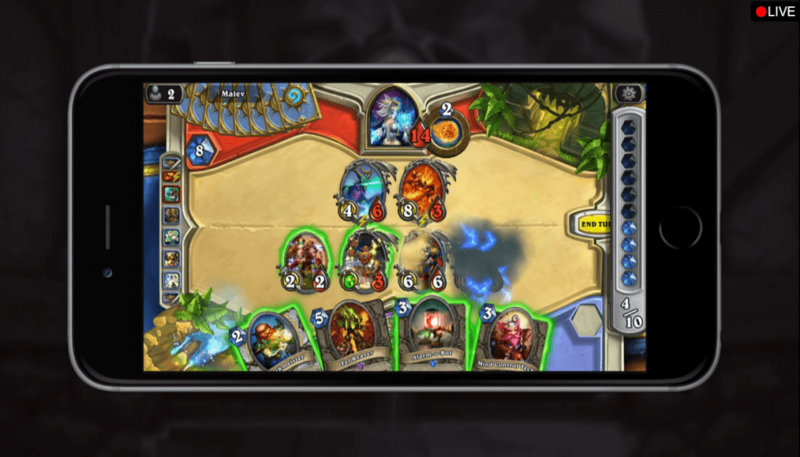 Thanks to mobile platforms, collectible card games have received a second life. 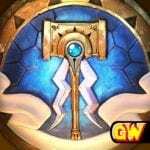 Elements of card games can be found in many mobile gaming updates and for this reason, it is time to show you a list of the 15 best representatives of this genre in our opinion. The Blizzard Entertainment Studio is known for its serious releases, and Hearthstone: Heroes of Warcraft is no exception. This collectible card game is based on a very famous franchise and is full of amazing creatures, as well as villains; but at the same time, for all its seriousness, it is not devoid of a certain humor. The first thing worth mentioning is that this game is distributed as free-to-play. You can immediately anticipate the negative reaction of many players who are faced with the need to pay for everything in some games that use this model. Let’s hurry to please you: in Hearthstone, there are no pay-to-win elements, so you don’t have to invest in your own victory; it is entirely up to you, and those who don’t want to spend real cash have the right not to do so, since progress is possible and no extra costs. You can easily develop warriors of various classes and get the cards you need for free, forming a deck at your own discretion. Here it is especially clearly seen how balanced the game is and how optimal its financial policy is. Speaking of classes: Hearthstone has nine of them – Warrior, Shaman, Rogue, Paladin, Hunter, Druid, Warlock, Mage and Priest. It will not be so difficult to delve into the system of classes and the essence of the game, especially if you have played something like this Magic series at least once. Card battles unfold one-on-one, with a single deck in the hands of each player. Initially, players choose one of the nine iconic characters in the Warcraft universe, and then in turn play cards from the character’s deck they have assembled, including powerful spells, abilities and heroes’ weapons, or call on strong allies to fight the enemy. Sheathe your sword, assemble your deck and get ready to play Hearthstone – a dynamic card strategy. It is easy to play and fun. Fight for free, smite the enemy with spell cards, call creatures to help, lead Warcraft heroes into battle, to new victories and achievements. Since there are a large number of variations in card battles (cards that attack instantly; cards that create shields, and so on), each battle will be unique, and you will have to use a different strategy with each opponent. This makes the game fascinating and completely non-annoying. 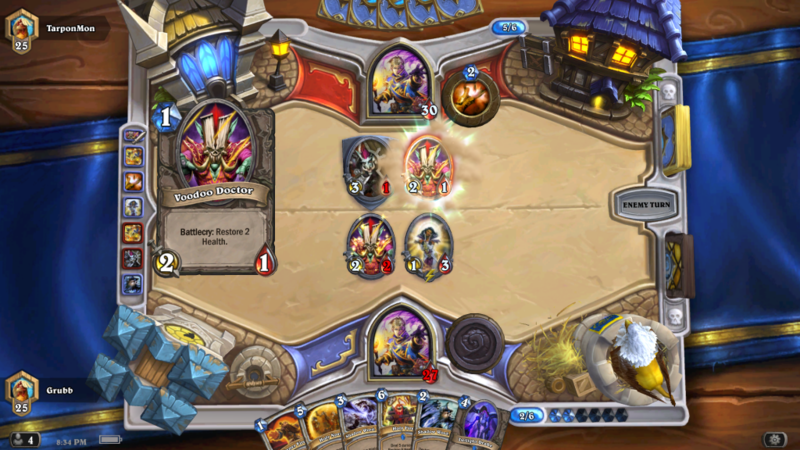 Regarding the existing game modes – in Hearthstone: Heroes of Warcraft, there are several of them. You can pick up your opponent online, practice with artificial intelligence, play with friends, or go out to fight in the arena. If the other modes do not need descriptions, the arena is the place that amateur players choose to compete. Talking about this game, it is impossible not to mention the management, which is implemented almost perfectly, without signs of any inconvenience. Simple tapes, drag and drop and nothing superfluous. Hearthstone: Heroes of Warcraft is a cross-platform game, and you can continue the path started in it, even if you started on PC or Mac. Visually, Hearthstone looks cool – you will not find a single pair of similar cards in it, they are all neatly traced and each has its own individuality. 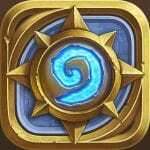 Overall, Hearthstone: Heroes of Warcraft is a good example of a well-thought collectible card game, with unobtrusive monetization and addictive gameplay. Meteorfall: Journeys is a great card game for Android and iOS, where the user will have to create their own decks with cards that are used to inflict damage to opponents. The free application gives gamers complete freedom of action in terms of choosing the components of the deck, as well as the class of the character, from which the type of cards is repelled. Choosing one of the four classes presented, the user must create a unique deck of cards, which is actively used for conducting battles. 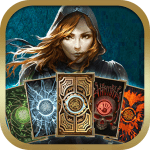 The card game includes various bonuses and rewards, allowing you to significantly enhance the skills of the main character in the confrontation with opponents. A well-chosen strategy will allow one to emerge victorious from any battle since an understanding of the mechanics of the application will give a huge advantage over the opponent. To lay out the card on the gaming table, just click on it, after which the corresponding action will occur. This application also allows you to perform various combinations, due to which the enemy will not have the slightest chance of a successful outcome of the battle. Before each battle, the gamer independently sets up a deck of cards in order to further develop a strategy for it. 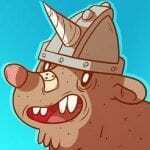 Meteorfall: Journeys is an interesting, measured card game with elements of logic since every action must be thoughtful and carry maximum efficiency in a battle. Choose the right role for yourself and then bring your skills to perfection. Also, do not forget to periodically open new cards so that you can create unusual variations of decks. Graphics and sound. The application will delight you with nice graphics, which are stylistically designed objects, with beautiful wear and tear, giving the deck a kind of active use. Musical accompaniment makes the gameplay peaceful, giving the opportunity to fully indulge in reflections in battle. 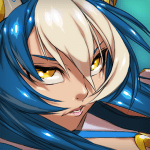 Enjoy a pleasant gameplay that allows you to unlock the full potential of the user as a strategist. Witness exciting, tactical, lively multiplayer battles with stunning graphics and sound, based on the epoch-making universe of the Warham Age of Sigmar world. Fight in a perfect dynamic test between players for the right to become the lord of the Possessions of Mortals. Gather an army of powerful cards, including generals, heroes, and summoned creatures. 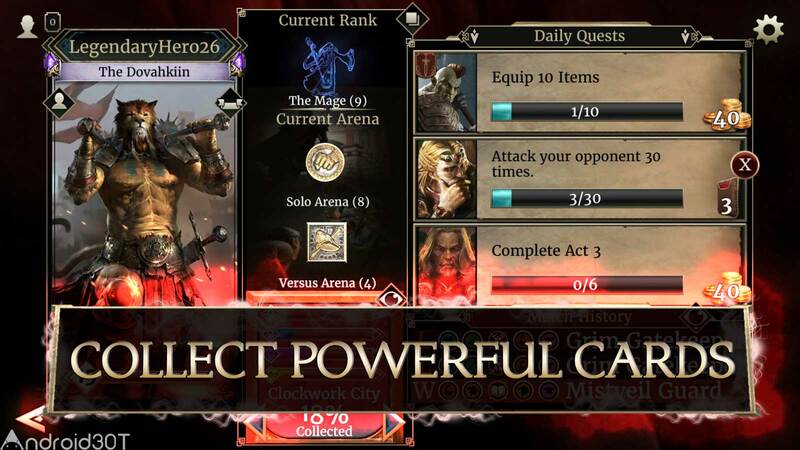 Collect cards, increase their level and use their power to destroy your rivals on the arena’s battlefield. Choose from a variety of unique cards in the process of creating your own strategically aligned decks. Expand your powerful units on the battlefield and send them into battle. Increase your tactical level, making legendary decisions, changing the forces of generals and heroes and combined with infinite potential. Send your heroes to capture the powerful Gates of possession and strengthen your deck with unique and superpower cards. These legendary magic cards can be played for free, so choose the moment carefully. Warhammer Age of Sigmar: Realm War is a true combat symbiosis of multiplayer online battle arenas and card duels. Command powerful generals from Stormcast Eternal to Orruk Megaboss. Collect a wide range of powerful and unique cards, enhancing them in many different ways. Create your own deck to win, based on unique tactics and strategy. Gather an army of warriors, combat vehicles and heroes with epochal attacking and combat skills. 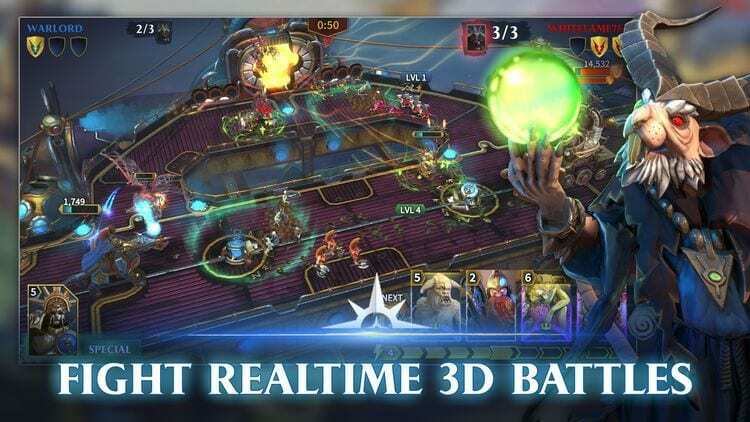 Lead a magical war on a completely new multiplayer online battle arena, combined with the creation of your own deck, and destroy your opponent. Unleash the full power of your heroes and unique special abilities of heroes. Combine cards, strengths, and strategies to win and swim in glory. Defeat rivals, win military awards and increase the level of your forces in duel battles. Witness short-lived, explosive and dynamic battles. Get access to new maps and battle arenas as you move up the ranks. Best-in-class next-generation three-dimensional graphics for mobile devices. Come in daily to collect mystical comets and complete quests with priceless treasures. The collectible card game in the setting of the famous universe of The Elder Scrolls, with turn-based battles, several races, many creatures, and improved cards. Despite the strategic component and multiplayer orientation, The Elder Scrolls: Legends has a storyline story that will send you back to the mysteries and dangers, showing you Tamriel from an alternative perspective. In the campaign, you will find a warm welcome with sectarians and all sorts of conspirators, making intrigues around the frail figure of the emperor, which must be protected at all costs! Game mechanics built on the basic principles of card games but has individual and unique features. The development is managed by Studio Dire Wolf, who masterfully combines elements of traditional strategy games and modern mechanics. In Legends, they divided the cards into four types (Support, Creatures, Objects, and Actions), and inscribed them in the traditional colors of the game universe. During their travels, several races inhabiting Tamriel — the Argonians, the Bretons, the Dark Elves, the High Elves, the Imperials, the Kajites, the Nords, the Orcs, the Redgards, and the Forest Elves — can become your allies. Each faction has different card characteristics – intelligence, commerce, courage, secrecy, magic, dexterity and even theft! The reward depends on the selected race, and the faction can be changed at any time, except for the current battle. The choice of gaming class, which is more than ten, is important. Each class has a couple of properties, for example, the Murderer operates with dexterity and intellect, allowing to break all locks and kill the victim. In the same way, the chosen class will influence your deck by adding or subtracting certain opportunities during the duel. At the moment, there are 10 classes in the game: Archer, Assassin, Battle Mage, Crusader, Mage, Monk, Scout, Wizard, Warrior Mage and simply Warrior. Depending on the chosen attributes, the gameplay is divided into five directions – Power, Intelligence, Willpower, Dexterity and Endurance. In all cases, a deck of cards is drawn up depending on the style of the game — an attack head-on, a planned destruction of the enemy’s forces, or cunning and cunning. Intellectual cards can hit a large number of creatures, and cards with vitality and endurance are well suited against powerful giants and trolls. After the passage of the story campaign, it is time to enter the arena and battles with real players. In multiplayer, you can choose a game class and quickly assemble a deck of 30 cards. Fight time is limited and lasts up to three defeats, and the winner will receive a generous reward, including legendary maps and treasures. For the first time defeating a real opponent, you will receive a unique card and a gift. 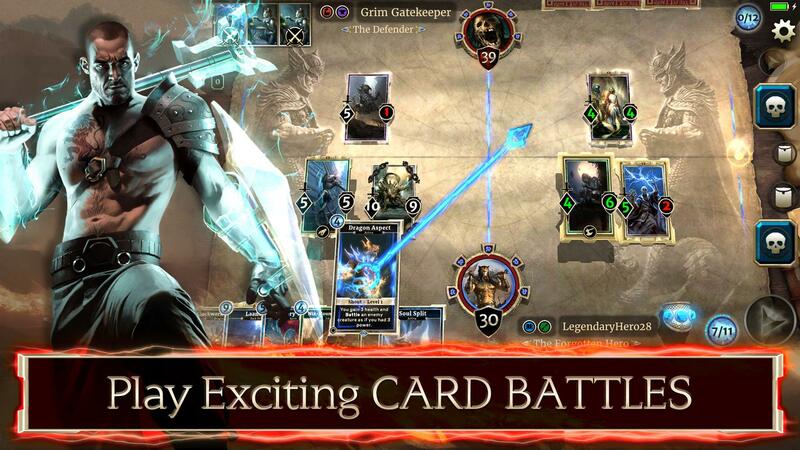 The Elder Scrolls: Legends can attract not only fans of the series who have never tried a similar genre before, but also the luminaries of card games who want to get a new experience – the game is beautiful, dynamic, and the gameplay keeps in suspense. This is an exciting card game. Card Thief – card game, created in the subject of a horrible horror, where you have to go through a lot of levels of this horror story. Enjoy classic gameplay and high-quality graphics. You are waiting for terrible adventures in a world full of treasures and valuable resources that can be won. Build your base and protect it. Steal jewels and get cards of legendary monsters. Spells and equipment. All your cards will be able to take part in a fantastic robbery. 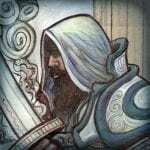 Create a unique deck and become a professional thief. This game collected elements of stealth and everyone can find something interesting and exciting. To defeat the enemy and go unnoticed, you will have to work hard, to think about the moves. The developers took care of the newbies by creating a tutorial. With it, it is possible to learn the necessary basics. Unique card style of the game, using the legendary layouts of combinations. More than four categories of monsters, objects and spells. Several original worlds where your adventures will take place. The global leveling system for cards and all equipment. Every day new quests and participation in the global ranking mode. The player will have to concentrate on this terrible game and go through the most original adventures in this world. You are waited by a huge set of various categories of cards with the unique characteristics and features. Participation in large-scale thefts of jewelry and participation in the global rating mode, where you can become the best and succeed. Arrange traps and objects using combinations of cards. Constantly improve your card levels to become even more powerful and better in this game. Beat your records and earn exclusive rewards that will help you grow. The game is really interesting, worthy of the attention of the card lover, and the new design, well developed, looks at the highest level. In this version, the developers took care of beginners and experienced users. The only game created in English, so for its passage need knowledge of the language. In general, the interface is convenient, concise. In it, the creators took into account all the wishes of their users and fans of card games. 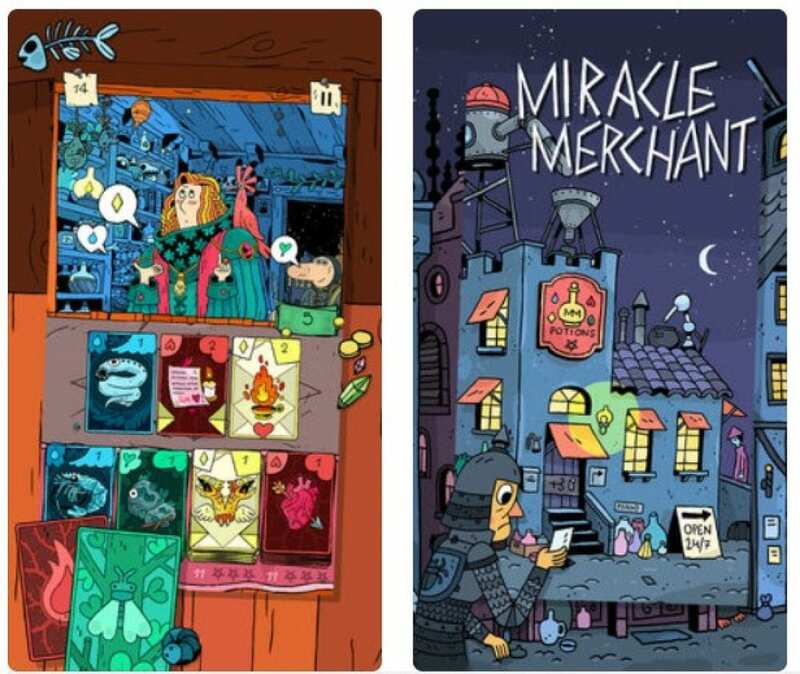 Miracle Merchant is an interesting card game. The presented project offers users to try themselves in the role of a madman, engaged in the manufacture of various decoctions, potions. You will combine different cards to achieve your goals. 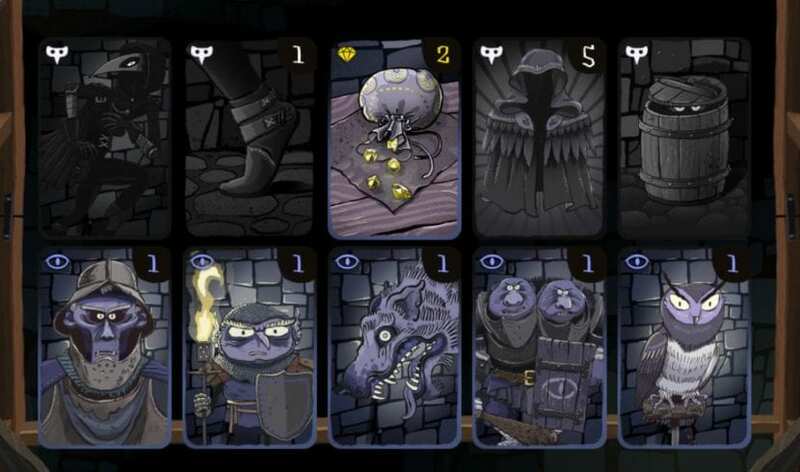 When you start the gameplay, you will be told about how the combination of cards. You will also learn about the available bonuses. In fact, this toy is infinite. You lose only when the potion is too bad. The quality should be medium or good. The cards have magical ingredients, and you have to combine them successfully. The result will be potions. Make your customers happy. There is no doubt that you will like to feel like a student of the alchemist. Step by step hone your own talent. The logical abilities will gradually improve. You will find a lot of amazing jobs. For all, a unique set of cards with certain ingredients is provided. 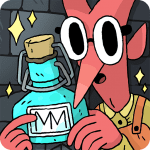 In the wonderful Miracle Merchant app, gamers can discover new alchemical recipes. Enrich your own collection, getting great pleasure from the gameplay. Enjoy the original style of graphics, fun gameplay. A total of 41 alchemical recipes are presented. Every day, users are waiting for exciting tasks. Look at the leaderboard, watch your own success. Play on smartphones, tablet computers. You will not be disappointed if you get a toy provided. In it, fortunately, there are no age restrictions, and the graphic design is done on an excellent level. Get acquainted with the existing maps, think over your own actions, and you will definitely achieve significant results. Stop at nothing to become the best! Leaderboard helps you learn about success. Miracle Merchant attractive toy has high-quality graphics, well-chosen sound effects. Gameplay helps to improve your own logical abilities. Distribution of software product for free. Optimization for all modern devices. Lots of recipes for making potions. 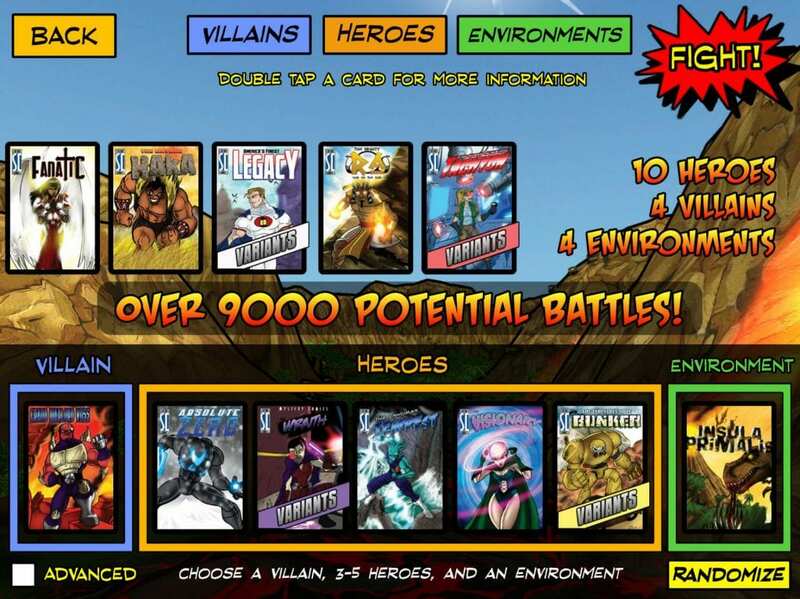 Sentinels of the Multiverse is a famous card game based on the eponymous show, in the original version of which ten heroes fight four villains. The game is fully consistent with the original, all the same characters, game mechanics and style, but of course, it was not without pleasant additions. The creators of the digital version have added a number of unique sets of maps, expansion, and location of the action. The game has a huge number of moves and options for the development of the situation can now be downloaded to your mobile device. The game is marked by critics as the one that should be on every smartphone, and this is not in vain, because you will move to a completely new world that is not similar to any other board game. The same application has a variety of characters and of course an active game that carries. The game has much to offer, even to those who are indifferent to the genre of board games. 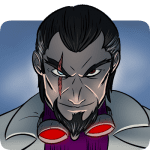 The Sentinels of the Multiverse game works on this principle: a team of various heroes of the universe is assembled, and you will oppose this team with a parallel universe of players with similar abilities. An exciting confrontation at every stage of the passing game, check for yourself! The rules of the Sentinels of the Multiverse are completely simple: use maps and skills to deal as much damage to the enemy as possible. The game is made in a simple comic style and is amazing with its convenience and simplicity, which is very cool for a game of this genre. 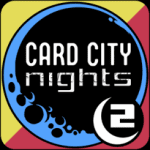 Play co-op cards, play against players from around the world, or invite your friends and compete with them! 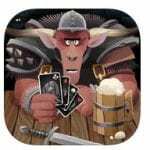 Card Crawl – turn-based card strategy. The task in the game is to hold out in a fair fight until the deck ends. Get rid of the cards in different ways. Some of them are useful – these are healing potions, cards of special abilities, weapons and shields with different characteristics, as well as gold, for which, unfortunately, you cannot buy anything; but the more you manage to save it, the higher your rating will be. Such cards can either be thrown into special slots for equipment, or donated to the store (you will lose the item, but at least earn a little and move closer to the goal). Although you are actually playing against the deck here, and not against a person or even a character, when some particularly fat troll appears on the table, the “presenter” wants to squander his nose. A bit harder with monsters. They, as you can guess, will have to be destroyed, and here we cannot do without strategic thinking. You can chop the monsters with your sword and take their attacks on the shield, which is what the instincts have developed over the years; but the equipment breaks instantly, and stay with your bare hands when some Soul Eater falls out of the pack (10 attack points with 13 maximum health points for the hero) – a very bad idea. Therefore, it is important to properly distribute the forces and deal with the weaker monsters without the use of weapons – losing hit points and trying to recover in time with the help of a magic brew. The gameplay is based on this delicate balance. The game constantly makes you feel like a tightrope walker who walks over the abyss. Since there are only 54 cards in the deck, and the games are very short, any wrong decision may be the last. 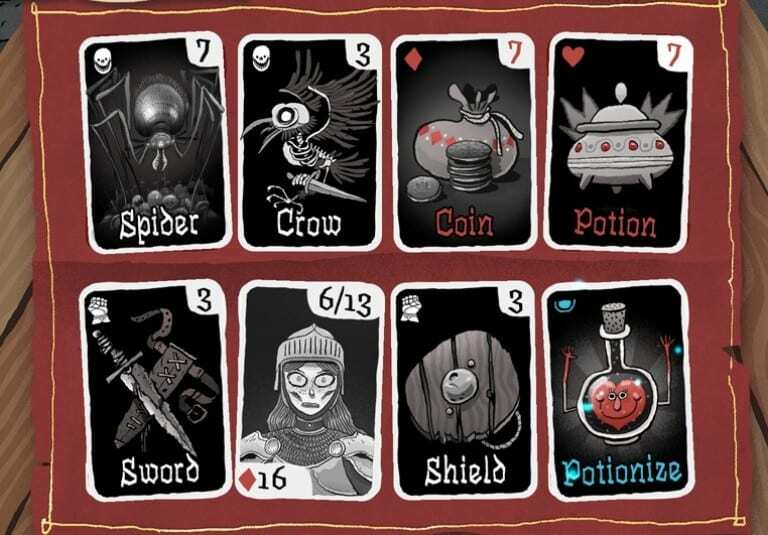 The limited number of slots in the hero’s inventory and the mechanics of the work of the same potions that disappear from the “hands”, freeing up the precious slot, only when you remove three other cards from the table, add additional stress. The shield (in many situations) is much more valuable than a sword. It holds until the safety margin drops to zero. The sword inflicts damage on the map and then disappears. Alas, elementary mechanics, which allows you to master the game in just a few moves, as a result, becomes what forces Card Crawl to throw. Card battles just enough for a few trips to the subway, after which you forget about them forever. If in the same Hand of Fate there were additional elements and an “endless” mode, then there is nothing of this and is not expected. 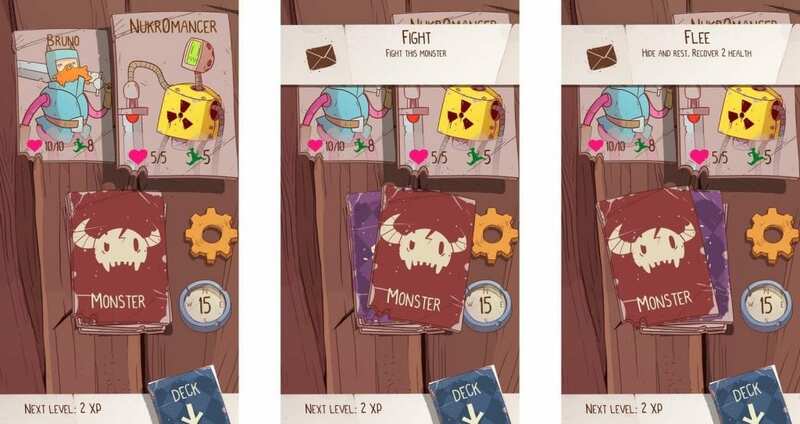 Card Crawl is a well-conceived game that tragically lacks “meat”. It is simply too minimal to inspire seriously and for a long time. Usually, board games and their virtual counterparts are saved in such cases with the help of multiplayer, but Card Crawl is designed in such a way that there is simply no room for a second player. Therefore, you master everything that the game can offer you, in a few minutes, then spend an hour and a half after it, and then either sit sad or find yourself better entertainment. Ascension is a card-building game for 2-4 participants, made in a gloomy fantastic setting. The uniqueness of it is given by the unusual “sick” drawings of Eric Sebi, made on the verge between children’s daubs and genius. His works cause contradictory feelings in people but do not leave anyone indifferent. For a long time, some illustrations made me reject, but my interest in the game did not fade, and with each new game I became more and more absorbed in his work. For a thousand years, the world of Vigil was isolated and protected from other kingdoms. Now the barriers between dimensions have fallen, and Samael, the Fallen God, has returned with his army of monsters! You are one of the few warriors who can stand up against the threat and protect the world, but you cannot achieve your goal alone! You will need summoned Heroes and Constructions. The player with the most points of honor will lead his army into battle with the Fallen and receive the title of Assassin of the Gods. The player and the opponent begin with a deck of 10 cards. From the decks, both create their cards. By playing these cards, the player may receive a special ability to use during the queue (for example, additional cards). Also, cards can generate Runes or Strength, which allows you to acquire or win cards in the Deck Center. Buying cards for runes, usually the player gets some special ability. Winning the card “by force”, the player removes it from the game and gets Honor points, showing success in the game. The power of decks created by a player depends on his decisions made in his queues. More than 50 beautifully detailed maps that Eric Sabi drew by hand. Hiring heroes and designs to enhance the deck. Elimination of monsters for Honor and rewards. The game against several computer rivals using different strategies. Improved visual optimization for iPhone 4 and iPad, high-resolution graphics designed for retina displays. Card strategies are always popular – excitement overwhelms the eyes, adrenaline boils in the blood, and the desire to win does not let go of sleep. But the concept of card entertainment for the mass audience has changed a long time ago – and this is no longer a fight for money, titles, or a place in the leaderboard, but for the opportunity to avoid meeting explosive kittens! 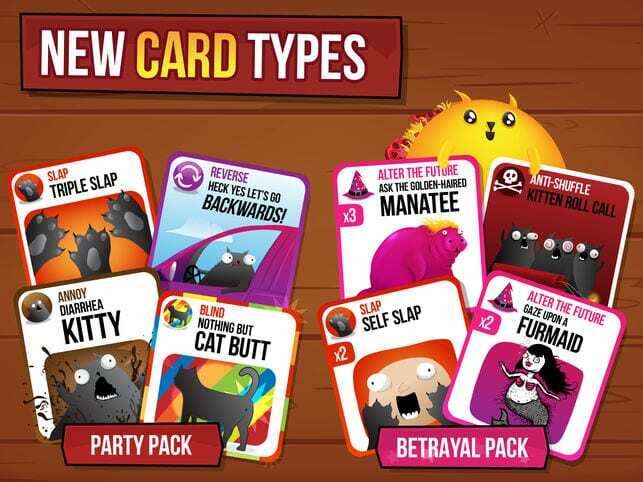 This is the basis of the main mechanics of the Exploding Kittens puzzle – a deck of cards, five players and one hundred percent chance of losing, but maybe luck will be supportive this time? The rules are elementary – in a room designed for two to five participants, an intellectual battle unfolds, where victory depends on skill, and defeat on the resourcefulness of rivals. Each turn, players drop a card and take a new one from the general deck. Some cards with simple pictures and perform the role of extras, others – help to get bonuses or outwit the opponent. 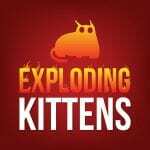 The main goal – by all means avoid cards with exploding kitten. If such a time bomb was in the hands, then you will have to act: extinguish the wick, disintegrate everything around with a laser, defend yourself with additional cards. It all depends on the layout and the assembled deck. An unprepared player will not even figure out how to be saved, and sometimes an incorrect loser will save him with incorrect actions. The intensity of passion is indescribable, emotions overrun (if everyone is playing in the same room), and losing is equivalent to the most undesirable failure in the world. Developers can only wish to develop the project further – to introduce new decks, change modes, add a career for one player. In general, to build a decent idea in the image of an indispensable gaming culture. The developers of IGG.COM are perfectly successful in role-playing adventures and space strategies, gambling, and card puzzles – the games of the genre listed in most cases become hits and always surprise the public. It was the turn of card puzzles to remind myself of the new Deck Heroes, offering players an amazing adventure into the world of magic, battles and vivid characters. 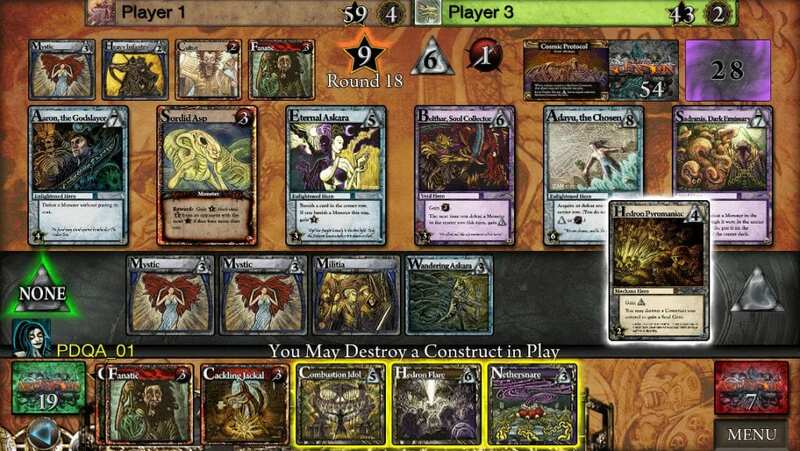 Deck Heroes represents the genre of traditional collectible card games – two opponents fight at a special gaming table, one side is taken by the player, the other by the computer. Each player has a starting deck of cards, as well as the main character, who, upon reaching zero health, will die and lose. The task of the players is to correctly place the cards on the gaming table, defend the main character, attack the opponent in time and win. Each card has different abilities – some deal stunning blows, others can poison or freeze, and more. Players are obliged to defend themselves from various elements and correctly select the cards, then any opponent will not stand! Hurry up to download Deck Heroes on Android and try to achieve superiority over enemies! In the gameplay, there are several game modes that differ in the features of the gameplay. For example, in the “Arena” mode, players fight with the enemy in an automatic battle. The peculiarity is that a stronger and more experienced opponent is represented as an opponent. “Raid” means manual fights, and Glory Points will be the reward for winning. Management is quite simple, convenient and will not cause difficulties for the user. The game will appeal to fans of strategies, card games and just the owners of Android devices who want to have fun. Where can I get diamonds? – The player receives 10 diamonds each day, in addition, these gems can be obtained for victories in the arena. Fight with experienced opponents, collect unique sets of cards and get unforgettable pleasure from the gameplay! 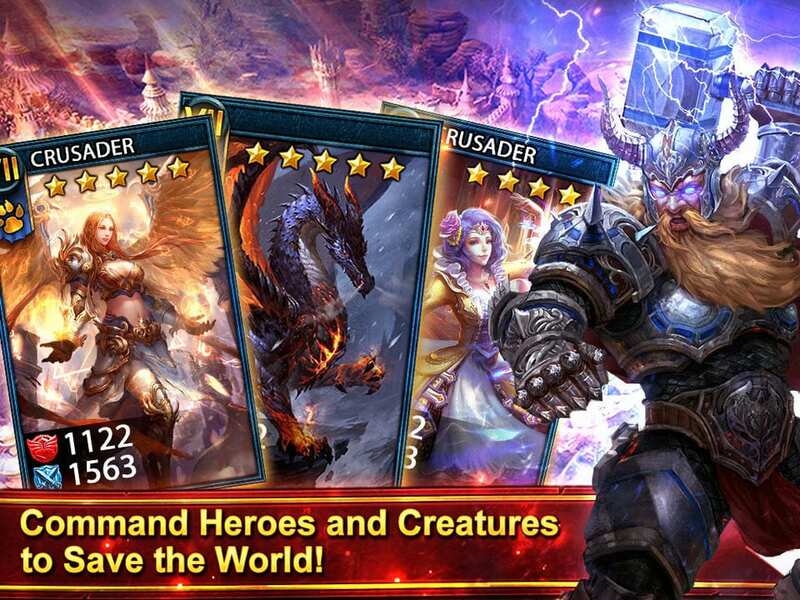 Eredan Arena – excellent card battles in which you can take part by downloading the application on your smartphone. The main heroine of the game, Amnesia, is the owner of an excellent arena, where everyone can test their strength against players from all over the world in a dynamic and exciting card game. 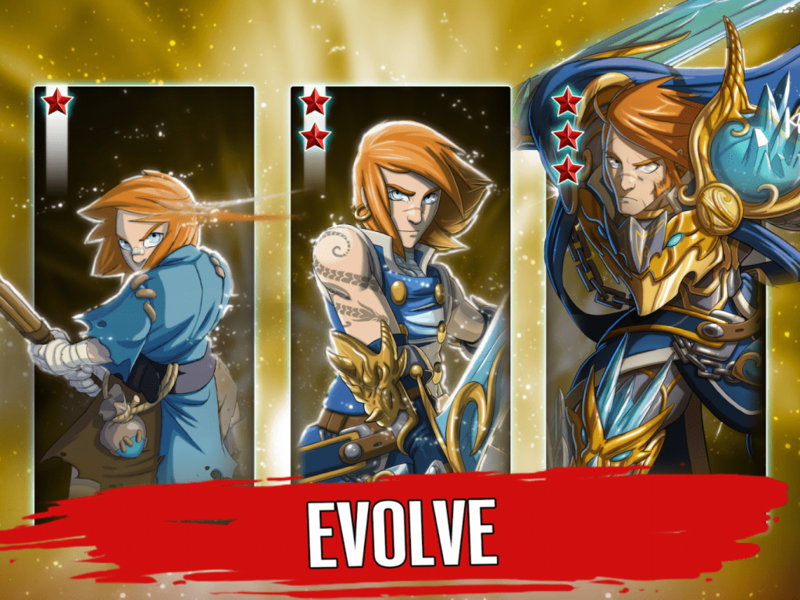 Collect a deck that optimally distributes the attacking, defensive and tactical forces of your hero in order to most successfully resist the enemy. Your team can expect to win only when it is commanded by a master like you! Sit back and dive into the wonderful game Eredan Arena! The cult heroes of the world are always ready to unite under your command! Unique skill sets for each character; cool combinations and exceptional skill of the manager will make the game tense, unpredictable and excellent! Face death, create your tactics and control the battle. The one who dominates in the course of the whole fight wins; so show yourself from the best sides and interrupt everyone who stands against you. Clear strategy, a huge variety of actions, cool graphics and great music will appeal to every smartphone user android! the game mechanism called Dice allows you to use the talents that your heroes have on the principles of dice. Very interesting and exciting card game, which has a non-standard game mechanics. It differs from the classic representatives of this genre, you fight with many opponents to get 8 unique cards. The battles themselves follow the usual pattern. 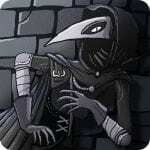 The game is an adventure that takes place in a mysterious city in which you will meet various characters. In addition, the game has a certain storyline, which will keep you in constant tension. To win, you need to use the bonuses that appear during the game, as well as stick to the chosen strategy. If you think that this game is from the category of ordinary card games, then you are deeply mistaken. Yes, this is a board game, but not a card game in the truest sense of the word. This is the real adventure with the plot. In this game, it is necessary to fight with other players for the right to possess the best cards. You expect funny characters, various locations, and a sea of positive. World Series of Poker is the legendary series of poker tournaments in Las Vegas, which is still held and attracts players from all over the world. Guest mode – to take part in the distribution at the tables you do not have to go through the tedious registration procedure. Come into the application as a guest and play mobile poker for free right now! So you can not only quickly begin to distribute, but also prevent opponents to collect enough data to analyze your style of play. 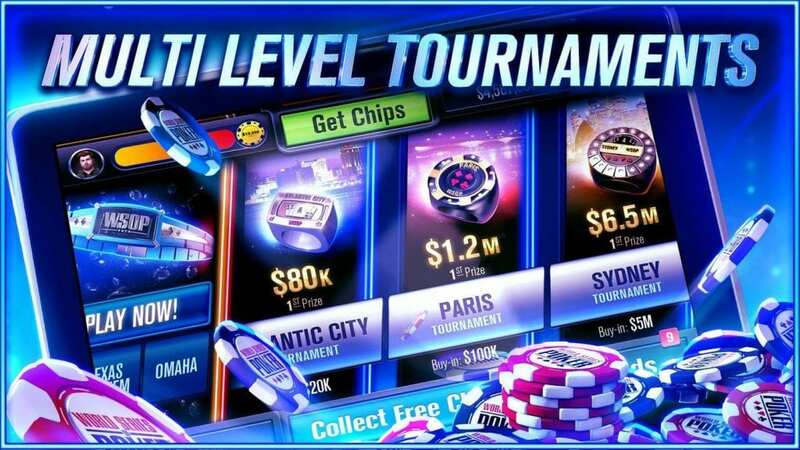 The Facebook Connect Bonus – World Series of Poker gives you a great opportunity to earn extra chips. All that is needed for this is to enter the application through the social network Facebook and add a link to the account. This will help you not only to get more funds for the game, but also to get an interesting company because someone from your facebook-friends will surely decide to join the game of mobile poker. Poker Recall is a completely new game that has no analogs in other poker simulators. Collect 20 playing cards from different sets, then fold as many strong combinations as possible. The prizes that can be won in this way are truly impressive: for the combination of Royal Flush, the application will pay more than $ 16,000,000 conditional money. 50 levels of development – to give the opportunity to fully enjoy the process of playing poker on smartphones, the developers have provided for more than 50 levels of development. While you are gaining experience, at each of several designated stages, you will have access to a casino in a new city at higher limits. Take a full tour of the poker glory trail from Atlantic City to Las Vegas and fight for the top prize of 2.64 billion chips. Advanced settings – using the functionality of the application, you can optimize the time spent at the tables. You choose what information about opponents and hands to display on the screen, and what to leave behind the scenes. Controlling the sound and vibration of your phone will help you to play mobile poker safely in any place that is not even the most suitable. 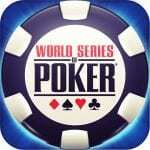 WSOP bracelets – the legendary trophies are now on your mobile! For achievements in the poker game, you are entitled to a substantial reward. The World Series of Poker application could hardly bear its name if players would not receive prize-winning bracelets for winning tournaments in Texas Hold’em and Omaha. All trophies are carefully stored in a separate animated section, which you can use at any time for pleasant memories of past victories. 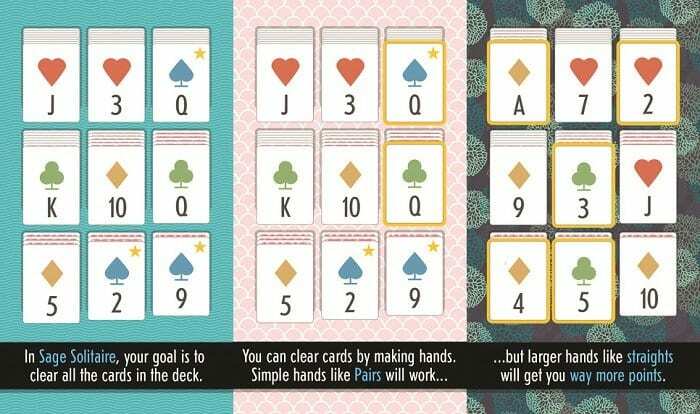 Sage Solitaire – is a unique game that will appeal to all lovers of cards. With the advent of phones, everyone has long forgotten about card games, but this game for your android will exceed your expectations. It perfectly combines all the undeniable advantages of poker and the great fascination of ordinary solitaire. Sage Solitaire game is that the player is presented with six piles of cards with an open top card on each of the piles. It is necessary to make the right combination of cards from the top open. When a player collects the correct combination, the table is gradually becoming empty. Six piles of cards give a lot of space to make combinations. The game has a checklist that contains a list of combinations that will help the player to quickly remember them. But even if you learn all the combinations and immediately begin to look for them, you should not forget about luck at such moments, which can play a cruel joke with you, and at some moments you can be very helpful in passing. 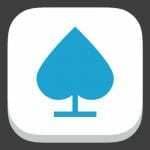 The game Sage Solitaire will appeal to all who love card games, a new approach and combining two games into one is an interesting feature of this application. The big plus of the game is that, with all its fascination, not a lot of time is spent on one game, which will easily help to “kill” five minutes of free time. And now – open your cards, gentlemen! In a sense, if you have your favorite card games for a smartphone that are not included in the list, do not forget to share them in the comments.